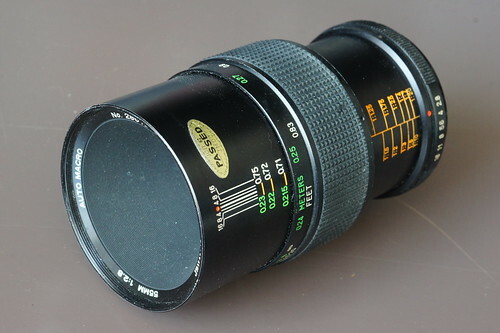 This Komine built Vivitar macro lens has a full macro capablility that produces 1:1 magnifications. 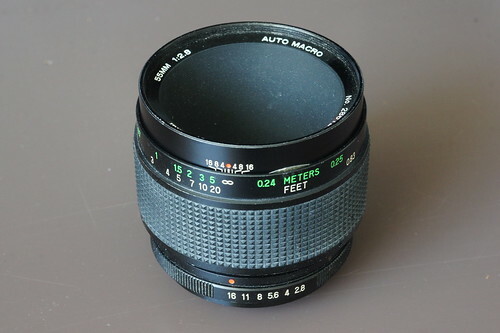 The lens is well built and consists of a very smart double helicoid mechanism to give it the length needed for maximum macro ratio. The pictures show it's compact retracted size and the full extended size. This page was last edited on 6 May 2014, at 17:39.